Fun Fact: While the film showed the premise of Australia, the project was mainly shot in Mauritius. 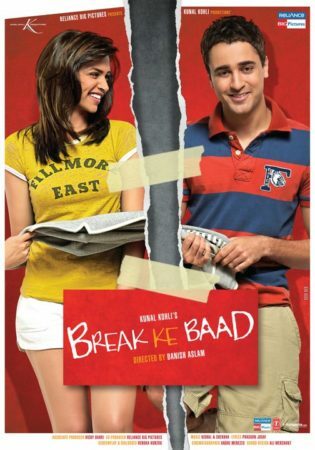 Why it Made News: Break Ke Baad was the last onscreen performance of actor Navin Nischol, who played Imran’s father in the film. Abhay Gulati (Imran Khan) and Aaliya Khan (Deepika Padukone) are childhood friends in a relationship. Aaliya gets an opportunity in an acting school in Australia, a paranoid Abhay follows Aaliya to Australia, this annoys Aaliya and the duo break-up. While Abhay’s father Jeet (Navin Nischol) wants him to join the business, Abhay starts a successful restaurant in Australia and Aalia convinces him to get married. Aalia comes to know through another friend that Abhay is finally getting married and on his wedding day proposes him to marry her. Abhay shows her the wedding card which has Aaliya’s name on it, implying that he was going to marry her all along. EXCLUSIVE: Imran Khan’s directorial debut project shelved?